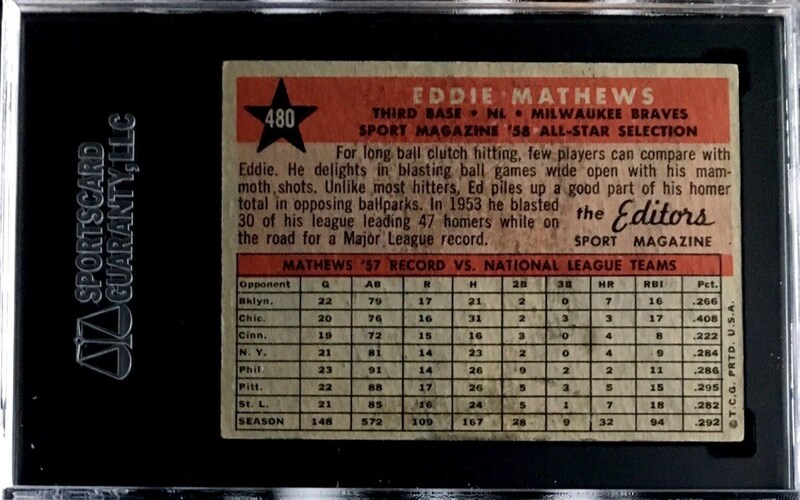 Up for your consideration is a 1958 Topps #480 Eddie Mathews All Star card. Mathews is one of the best third baseman to ever play. 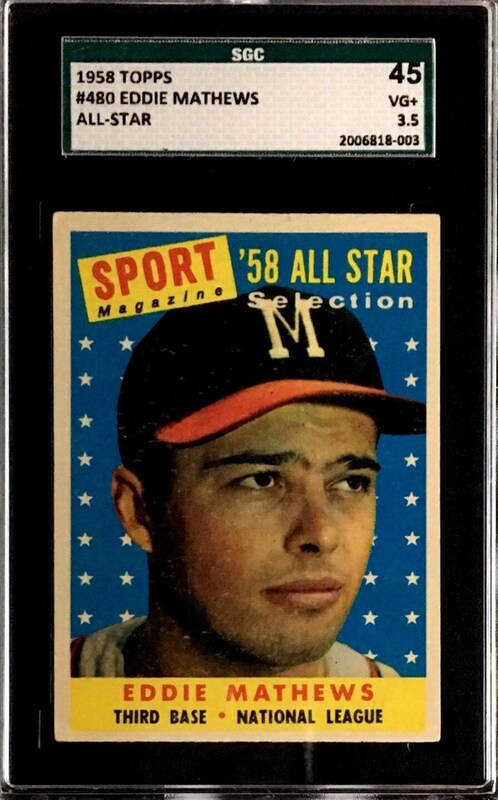 Offered here is the popular 58" All Star version graded an SGC 45.